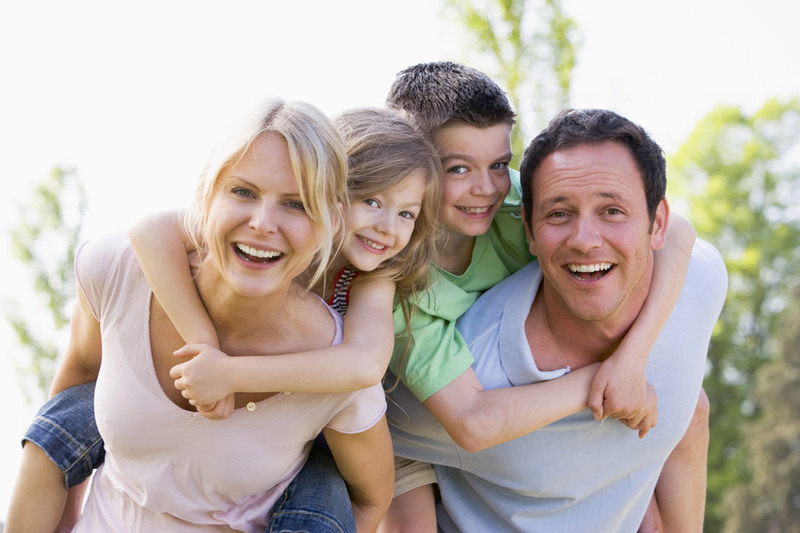 Mansfield Benefit Brokers is incrediblyespeciallyextremely responsive to your needs. Our Mission: Through knowledge, in-depth experience, critical analysis and exceptional service, we provide our clients with the best possible employee benefits and insurance solutions. Mansfield Benefit Brokers is a professional brokerage agency specializing in employee benefits, insurance and money products. Located in Hamilton, Ontario, Mansfield Benefit Brokers brings 40 years of experience to employers and clients in Hamilton, Burlington, the entire Golden Horseshoe and as far north as Huntsville. Through our in-depth market knowledge, we help our clients find the right benefit solutions and help them ensure successful implementation and continued success with their benefits program. At Mansfield Benefit Brokers, we put the client first. We work for you, not the insurance companies. 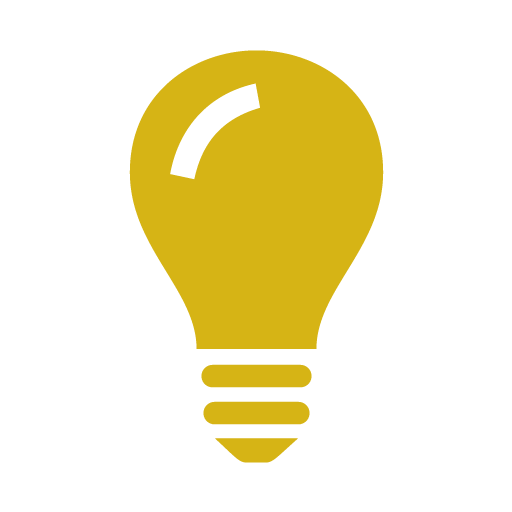 Our mission is to make sure our clients get best possible rates for employers while maximizing the benefit package. Mansfield Benefit Brokers is an independent agent, free to choose the best carrier for your insurance and benefit needs. We work on your side when you have a loss and follow through to see that you get fair, prompt payment and service. Because we are licensed to do business with all insurance companies, we are able to offer you the best coverage at the most competitive price. Mansfield Benefit Brokers is proud to say that most new business comes from client referrals. We have gained a reputation for attentive, personal service. Each case is treated on an individual basis, guided by the key principle of maximizing the client’s interests. 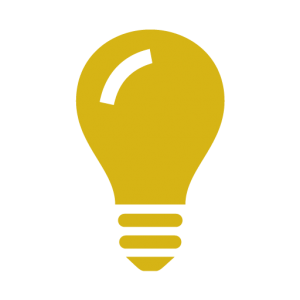 Benefit plan design is a Mansfield specialty, employing knowledge and critical analysis to implement plans that are both effective and economical, often in innovative ways. 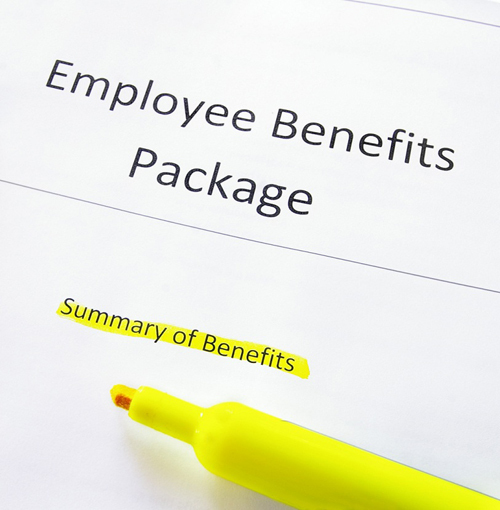 We develop plans that leverage employee benefits dollars for maximum impact. Mansfield Benefit Brokers is committed to continuing education and keeping a pulse on new developments in the industry. Grounded in knowledge and experience, we bring new ideas, tools and technology to enhance the plan process and magnify the benefit to the client. Mansfield Benefit Brokers is the preferred broker for Canadian Federation of Independent Business. 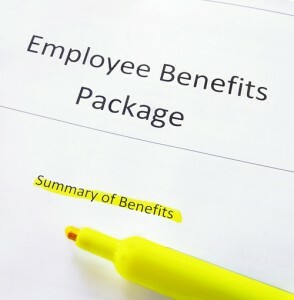 We develop plans that leverage employee benefits dollars for maximum impact. Contact Mansfield Benefit Brokers today to arrange a meeting to discuss your unique needs. Debi Mansfield brings 40 years of insurance brokerage experience and 30 years of benefits experience to Mansfield Benefit Brokers. She became a broker early in her career, after studying business and marketing at Mohawk College. She was one of only two women completing the program, and has since continued to distinguish herself with hard work, continuous learning, and exceptional customer service. 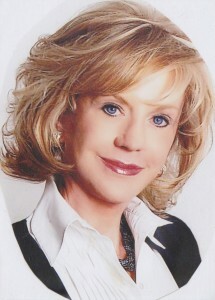 Debi has earned certifications as a Chartered Life Underwriter (CLU), Charted Financial Consultant (CH.FC. ), and Elder Planning Counsellor (EPC). She takes education seriously, and has taught life underwriters courses for new agents. Continually learning, Debi makes it her business to stay current with industry trends and technology. Debi is also active in her community. She was a Rotarian for 13 years, and was recognized as a Paul Harris Fellow for her contribution to the betterment of her community. She was also awarded the first Fellowship Award from her Rotary Club. Debi was born and raised in Hamilton, Ontario, and makes her home here today where she loves to garden and cook, and play golf and ski. She is passionate about fitness and health, the NFL, and her dog Teddy. "We have just had the first six month review with our new insurance carrier and we are delighted with the results. We have saved tens of thousands of dollars in costs and kept our employees pleased at the same time. 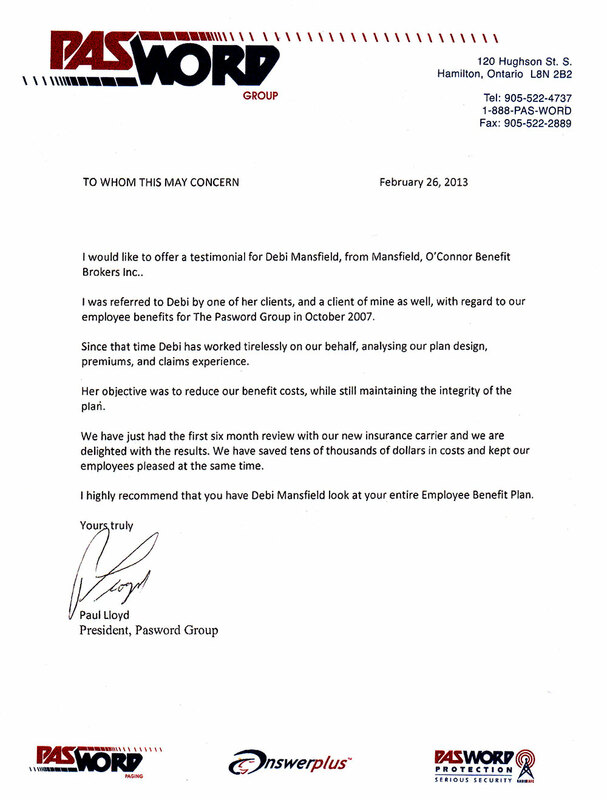 I highly recommend you have Debi Mansfield look at your entire Employee Benefit Plan." Please contact us using the form to the left or give us a call.